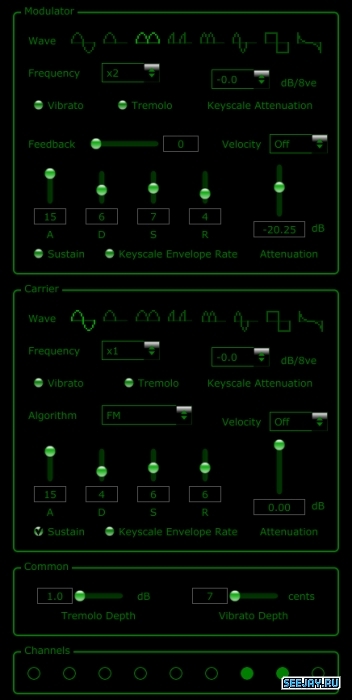 Neochip is a simple subtractive synth beginning by emulating the 2A03 chip used in the Nintendo Entertainment System (NES/Famicom), and ending with an effects chain which allows you craft more modern sounds. 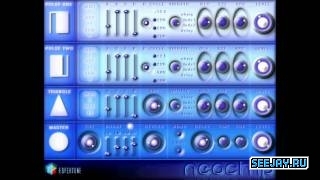 Neochip is best suited to creating deep grimey basslines and bold retro stlye leads and pads. 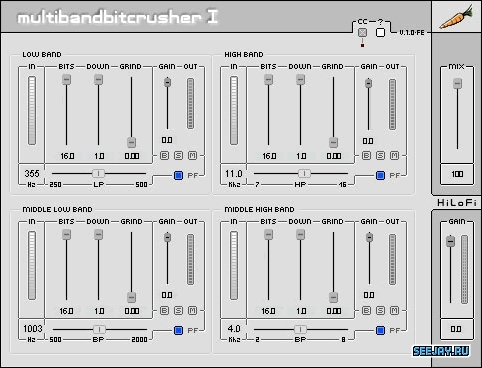 The Multiband Bitcrusher effect is a 4-band bit reduction / downsampler vst plugin. 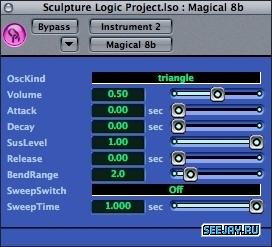 The 4 frequency bands can be operated independently and processed through the bitcrusher and the downsampler. 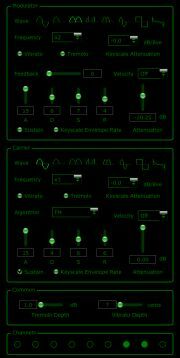 monomate is a monophonic synth designed to create retro sounding basslines and shrill leads. 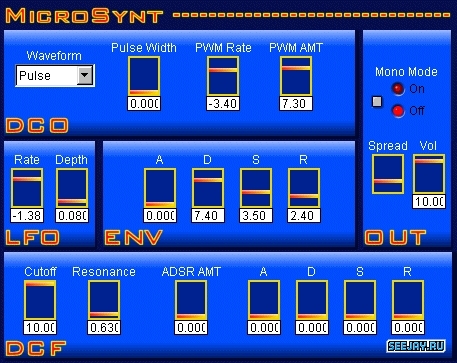 Commodore 64 (C64) soundchip emulation.It emulates the SID (MOS Technology 6581) soundchip. 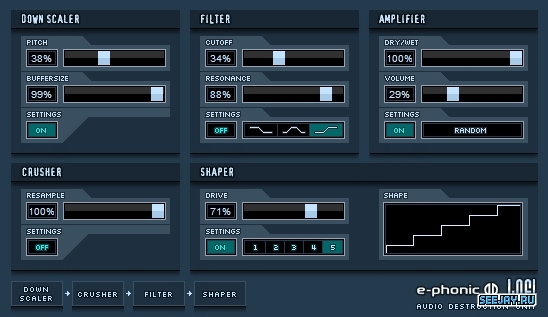 Old consoles soundchip emulation. Sound is good to emulate Nintendo NES/Famicom. Note : It has not his own interface : It uses the interface of your plugin host. With LOFI you can easily downgrade your clean sounds to old dirty sounding samples. From just a little dirt, to total destruction of the sound. 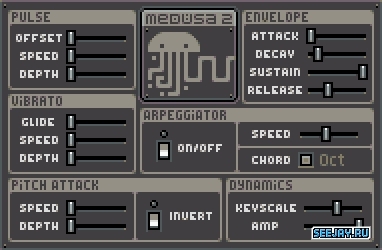 Kraken is a mono-synth with two OSCs, of which one retriggers the second for each whole wave. 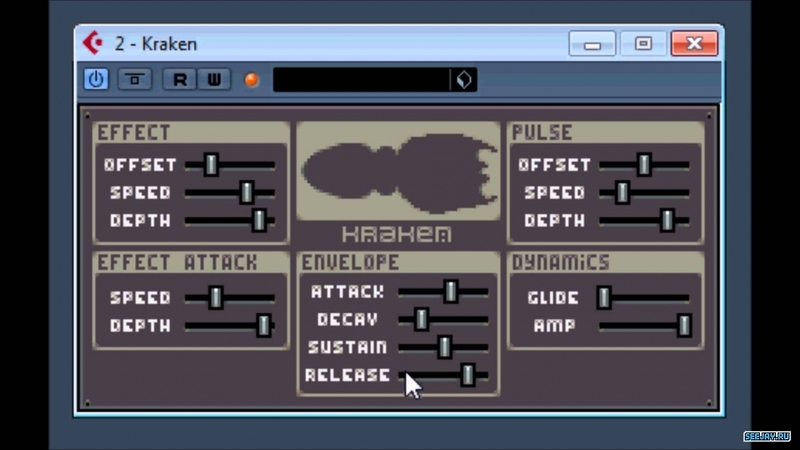 A VST instrument using the DOSBox OPL2 emulation. The OPL2 is a simple 2-operator digital FM sound chip from the late 80s, used in PC sound cards like the Adlib and original Sound Blaster. 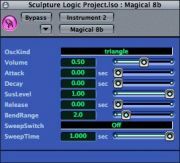 This VST instrument allows you to program an emulated OPL2 chip.